“When is Deva coming?” Arnav asked Khushi. “I’m booking his tickets.” Arnav fumed. “Does he plan to come after Diwali?” He silenced her. “So what if he booked?” Khushi soothed. Written for the Friday Fictioneers – a story in 100 words or less. 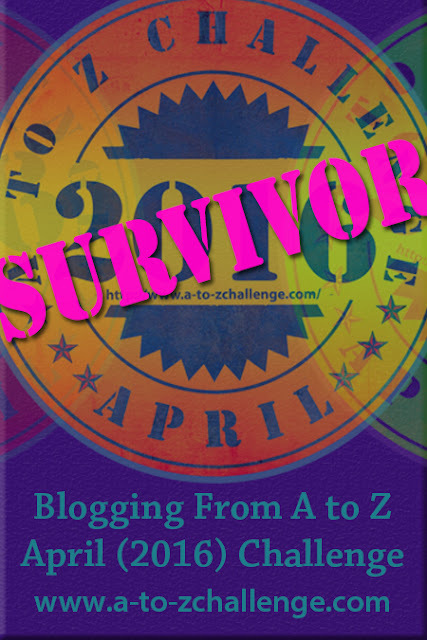 Thanks to Rochelle for hosting the challenge and Ted Strutz for the photo prompt. To read the other stories inspired by this prompt click here. “What the…. !” Khushi blinked and shook her head. No blood, no mayhem and no Arnav either. Deva didn’t even look up while Chotti straightened and waved a vague hand, “Inside.” She went back to coloring the sea, sticking out her tongue. The dolphins were tricky they kept trying to merge with the sea. Or was it the sea splashing on to them? Yeh Laad Governor bhi na. Khushi fumed. Master manipulator and number one trickster – didn’t even spare his kids. Her eyes narrowed and her lips firmed. If he thought he had ‘won’ the deal, he had another think coming. She wandered over to Guddu and peered over his shoulder. Some hanky panky was afoot. She was sure. “Why isn’t he here?” She asked mildly enough throwing her bag on the sofa and crouching down beside Chotti. Khushi sat back on her heels in surprise. Creating some fun thing? What did that mean? Oh! Right! She smacked her head and stood up. He had blackmailed and terrorized her poor little babies while he made deals in the privacy of the guest room. I should have said no phones allowed, she cursed herself. She decided to catch him in the act but just as she turned her eye fell on his phone that was charging on the side table. Just what the hell was going on? “Okay.” Guddu plopped down beside her. Khushi’s eyebrows shot through the roof. From which side did the sun rise today? “Maybe I will.” Deva went back to scanning the sheet. Chal kya raha hai boss?! Laad Governor to sahi main boss nikle! Khushi felt a grudging admiration but mostly annoyance. He comes one day and gets them to not only dance to his tunes but talk to each other civilly as well. But just for that she was willing to give him a walk over. She frowned. What was he doing in the room? Was he sleeping? Was he not well? “So all done guys?” A disheveled Arnav strolled in with a bit of pink streamer sticking out his pocket and a bit of thread clinging lovingly to his cheek. “Hi!” He smiled as he spotted Khushi and blinked slowly at her. His breath tickled her senses. She shivered. “I was having,” he paused, “fun.” He looked amazed and thrilled at the same time. Without a word of protest, Deva sank down beside Chotti who also shifted to make space for him. Arnav coughed and hemmed and hawed. He leaned towards her and muttered into her ear behind the cover of the exam sheet. “Much as I would love to claim magical powers, I have to admit I got the hang of it only half-hour ago.” He shook his head and said with a sense of wonder. “When I surrendered.” He slid his arm around Khushi and pulled her close. “They are adorable. Thank you.” He kissed her chastely. Khushi blinked at him and smiled tremulously. “Thank you.” Her heart was in her eyes and the RV, which was blowing softly, picked up tempo. “Tantarraaaa!” Chotti jumped up holding her chart, urging her brother to hold the other end. “How’s it?” she asked with eager anticipation. “It’s beautiful.” They chorused. “Isnt it Guddu?” Khushi prodded. Now what? Khushi slipped the test paper in the social studies book and hastened to catch up though she needn’t have hurried. He was waiting for her. They stared at him and each other in surprise. “Come along now. Hurry!” ASR hustled them. And balloons it was! The entire room was filled with balloons. Green and pink balloons bobbed above them, just out of reach. “What’s all this?” Khushi asked in wonder even as Chotti jumped up trying to catch them. Even Guddu lost his gravity and joined her. They nodded. “But what do we have to do?” Chotti asked. “We have to transfer our color balloons to our goal. But,” he paused, “we can only use our heads to do so. Four points for a goal and two points for bursting the other team balloon. So what do you think?” He asked in anticipation. “Mom! Let’s play!” Guddu jumped into the fray. “Come on hurry! We can win this,” he looked at Chotti and smirked. The fire of battle was in Khushi’s eyes as she strapped and tucked in her dupatta around her waist. And away they headed, this way and that way, bumping into each other not to mention furniture and the walls. But did they care? No! They were having too much fun, especially popping the other team balloons. Guess who was winning? Including Chotti in his team was a strategic decision – he picked her up and carried her around as she head-butted the high floating balloons, pitching pink ones into the goal and pinching the green ones against the wall. He was her eyes, she his head. The scales were heavily tilted against the mother-son duo and they cried foul loud and long, which made the game ever so much fun. It was a boisterous game fun-filled game that left them panting and grinning from ear to ear – especially Arnav and Chotti. “This was the best day ever Daddy!” Chotti clung to her father. Khushi looked at Arnav, who shook his head. Actually he had the rest of the balloons stashed away safely. “Not Shubham!” Chotti sprang up. “You don’t have to play!” Guddu retorted. “I will come once a week,” Arnav swore, “maybe twice a week.” He was determined to make up for lost time. “Whaa…? No! And just who are you calling a kid? Hey! Don’t do that!” Arnav yelled and grabbed hold of Guddu just as he was about to literally pull the rug from under Chotti’s feet. “I didn’t do anything…” Chotti cried piously. “No! I can see it in your face…” Khushi shook her finger at him. “What can you see in my face?” Arnav moved forward. “That look…” Khushi stood her ground. And so on and so forth they went on and on beating their kids hollow (err figuratively speaking of course) and I had little choice but to draw the curtain on this day where Arnav (literally and figuratively) went to school. “But I always….” Deva protested. “Daddy come and help me!” having set up the craft material to her satisfaction, Chotti demanded her share of his attention. “What about me?” Chotti was unwilling to be left out post-break. “That’s not fair Daddy.” Chotti protested. “What will you do while we are slaving away?” For once Devansh was in complete agreement with his pest of a sister. “Excuse me?” A crack of laughter escaped Arnav. “You heard me Daddy.” Chotti crossed her arms and waited. The next half-hour flew by as Arnav joined his daughter on the floor after having sought her permission to change his suit. She graciously agreed. “Take a washroom break as well.” She extended his parole. She grinned cheekily at him before bending over her chart paper. During the dessert break, ASR labored over the SS chapter, racking his reluctant brains trying to come up with decent questions. While he was otherwise preoccupied, the siblings were in complete harmony, slurping and planning an activity for ASR that would suitably match and more than make up for their slave away time. Arnav couldnt help but feel a twinge of trepidation – all the khusur-phusur not to mention the wicked glances that Chotti sent his way along with Deva’s animated inputs didnt bode too well for his future. Hey Devi Maiyya raksha karna! The thought inadvertently slipped out from his heart. “And we decided that you will also have to do something for us.” Chotti laid down their condition. “What?” Arnav was seriously regretting his offer. Nothing short of madness! “Meaning?” Arnav was taken aback. “Meaning surprise us. Entertain us.” She waved her hand at the stuff littered on the floor – streamers, sparklers, balloons, colored sheets, glue and what not, “Make something for us. Something we will enjoy.” She threw him a challenge exchanging a look with her partner-in-crime who wore a smug look admixed with superior glee and pity for his beleaguered Dad. “Well? Go on. What are you waiting for?” Chotti prodded before snickering behind her hand. “I’m waiting for you guys to begin slaving.” Feeling on safer grounds, ASR remarked. Chastened, they bent over their respective tasks, shooting curious looks once in a while to Arnav as he stared at the available raw material and tried to come up with something creative and enjoyable – something that he would love doing. When had he done that last? He couldn’t recollect anything apart from getting a rise out of Khushi that is. And now with his kids. He sighed feeling guilty about all the years he had missed spending with them. No wonder Devansh viewed him with suspicion as if he was some alien. He shook his head. He too had been overprotective of his mother and his Di. A smile creased his face. He swiftly gathered the things he needed and stuffed them in the oversized pockets of his cargo pants before Chotti’s sharp eyes caught him. Devansh nodded. He had already gone back to his test. “You’ll know when you see.” He said mysteriously. But Arnav shook his finger at her and had walked off. “Of course I know all the questions!” He waved the sheet of paper and tapped it with his pen. “They are all written here. Buddhoo.” He scoffed. “Shush!!! !” Chotti clapped a hand over his mouth. He glared at her and pushed away her hand. He opened his mouth to call out again. Chotti had none of Khushi’s hesitation or sense of humiliation. After all Da was right. She was disturbing him and she had no shame in owning up to it or paying for it, while Devansh watched with an unholy gleam in his eye. “What’s happening here?” One afternoon with the kids and his sixth sense had kicked in. They were silent. Too silent. Deva bent his head assiduously over his worksheet while Chotti made some elaborate leg extensions swinging her arms up and down. “Angel?” Arnav was hard put to keep the grin off his face. “Nothing Daddy,” Chotti swore airily, “I was just trying out some dance steps for my dance class next week, 4, 3,2 and 1, 2, 3,” she panted and she switched positions. Arnav’s eyes strayed to Devansh – a tactical blunder as he was watching his Dad’s face with keen interest. Arnav’s expression slipped and instantly a wide grin split Devansh’s face. Arnav turned on his heels and went back to his slavery, all but laughing aloud. Dad wasn’t so bad after all, Devansh admitted to himself with a warm glow in his heart. “Oh didn’t he?” Deva grinned to himself. “Will you please let me work?” He sighed. “I told you! She is busy. And so is Nani.” ASR added. “You were taking so long and I was feeling scared,” mumbled Chotti. “Devansh don’t you dare…” ASR flared up. “Is she in the hospital? Is she…is she…” Guddu’s voice shook despite himself. “Oh shut up Khushi.” Arnav snapped and instantly regretted it as Guddu’s face crumpled. He softened his tone. “Nice to know you are having a good time Khushi. Just talk to Deva will you? He is rather worried about your well being,” he held out the phone to Devansh. Unwilling to be left out, Chotti clamored for her share of Mamma and a bit of whine and rant – how dare she go shopping without Chotti? “Okay?” Arnav searched his son’s face. Embarrassed, Guddu shrugged nonchalantly. “Whatever.” He mumbled. “Mamma is at the hospital.” Chotti announced happily. “Arre Buddhoo,” Chotti scorned, “You really should clean your ears while bathing. She said she is NOT shopping but at the hospital.” She gave a dramatic pause, which made even Arnav’s heart rate increase. Was there more to this sudden ‘challenge’ by Khushi? Chotti coughed importantly. “Mamma has taken Nani to visit her friend who is admitted in the hospital.” Arnav surreptitiously wiped his brow but the seed of doubt had been sown. What was she doing at the hospital? He fretted. Was it as she had told Angel or was she bluffing again? But he would have to get to the bottom of that later for there were other rather urgent and pressing concerns that needed to be taken care otherwise they too would have to visit the hospital. While he had been indulging in his favorite daydream of ‘How dare you KKGSR’ Chotti had snickered at Guddu for being a Mamma’s boy and thinking she had left them. Devansh’ ego couldn’t take so much battering (at least not on an empty stomach and definitely not from Chotti). He flew off the handle and they were both rolling about on the floor, each hell bent on murdering the other. “Enough!” ASR barked as he pulled them apart and physically dragged them to the dining table even as his phone rang insistently. “Sit!” His voice brooked no hanky panky. Suffering withdrawal symptoms, Aman had chosen this moment to call up ASR. “What?” He snarled. “I don’t know about the best but he may be the angriest.” scoffed an out-of-sorts Deva. “Or die?” her voice shook. “I don’t care if the President of Mars is coming.” ASR cut into Aman’s excited crackle. “Cancel my appointments. And don’t call me again.” He glared at the phone in his hand. “Now what the hell is wrong with this phone?” He fumed. Devansh perked up. “Let me see.” He plucked the phone out of Arnav’s hand. “What’s the problem exactly?” He asked as he ran a professional eye over the phone. “I didn’t,” Deva denied, “And I doubt if Chotti would be able to download any app,” he scoffed. “Ooh then what happened?” All eyes, Chotti chewed her food. Arnav heaved a mental sigh of relief as from the corner of his eye he saw Devansh pull up a plate. “Rice.” Devansh served himself and tucked in hungrily. “Why?” Chotti obligingly took a bite. “Algae? What’s that?” Chotti was curious. “I finished.” Chotti pushed away her plate. “Only sometimes,” Chotti prevaricated, “very rarely.” She crossed her fingers. “Daddy do you know Da has his social studies exam tomorrow? He doesn’t know anything in social studies.” She said with relish. “It’s not an exam, stupid. It’s just a silly test. They don’t count.” Devansh shot daggers with his eyes and promised just deserts later. Chotti stuck out her tongue at him. “There’s no ice cream in the fridge.” Chotti picked at her food. “How do you know?” Both Guddu and ASR were surprised. “Don’t you remember Da. Last month …” she clammed up. “I don’t know.” Arnav scratched his head. “I thought there would be ice cream.” He said the first thing that came to his mind. Arnav’s heart sank. Khushi had discussed the menu with him and he had vetoed dessert. “They like to have something sweet after lunch.” Khushi had warned. “They can have some fruit. Sugar is not good for health, I think you know that?” He had said pointedly. Yes! He was the boss. “I can order something…” Arnav offered. “He doesn’t like rajma?” Arnav was surprised. “See!” Khushi wagged an accusing finger. “I said you wouldn’t understand!” She walked off in a huff. “Did Deva really say all that or did you think it for him?” Arnav followed Khushi upstairs. Khushi glared at him. “I didn’t think it for him, I know that’s his thinking. If you spent more time at home and with them you would also know it.” She paused. “Waise on second thoughts I doubt if you have enough heart and brain to…” she bit her lip as ASR’s lips thinned. “Hmm, true.” Khushi tapped a thoughtful finger to her cheek. “Waise,” she coughed, “I don’t remember ASR being very successful in making someone toe the line.” She bit her lip and watched with glee as he went from a haughty confused expression to a sheepish one within a span of few seconds. “Huh! ?” Khushi’s mouth fell open. He put a hand under her chin and popped it shut. He walked out into the poolside. Predictably, Khushi came charging after him. “What underhanded tactics?” she challenged aggressively her eyes glowing with righteous indignation. “You were the one…” she thrust a finger into his face. He entwined his finger with hers and brought it down. “I was the one who wanted to play a fair game but you…” he said reproachfully shaking his head. “But I what?” Khushi demanded aggressively. “…and I was supposed to start crying and beg pardon not take up your challenge head on,” Khushi completed her eyes sparkling with the light of battle. “And you couldn’t resist the challenge I represented could you?” She waggled her eyes at him. Arnav’s lips twitched. “I do love challenges.” He flicked her nose and turned away. “Not so fast Mr. Arnav Singh Raizada,” Khushi caught him by the hand. “Since you love challenges so much, I have one for you.” She grinned at him with a cat-got-the-cream expression. “You will what Khushi Kumari Gupta Singh Raizada?” His voice was deceptively soft. “I will do whatever you want,” she said recklessly, “for a day,” she added hastily at the glint in his eyes. “And if you lose, it’s the other way round. Deal?” she held out her hand. Khushi giggled and nodded. She relented. “Don’t worry. It’s something I do everyday.” She shrugged. Arnav reached out and firmly clasped her hand and jerked her close. “Deal.” He breathed huskily into her ear. “So, what’s the challenge?” Arnav asked, much later. “That’s it!” Khushi smiled brightly. Khushi shrugged. “Nothing special.” She dismissed airily. Despite the air-conditioning, Arnav broke out in a sweat. He could already see Khushi’s knowing gloating grin. It was already 3.30 pm and the kids hadn’t even had lunch yet. There was no way Khushi was going to win this battle. Buck up ASR he pepped himself, buck up. A/N Since ASR is busy strategizing on how best to clinch the deal, the next post will be on D-Day i.e. Thursday 😀 And in case you are wondering how to pass the time until then here are a couple of links to short stories – go on make my day, read at least one! Yeah, so well after Moonshine I seem to be in a sort of limbo and haven’t been posting or writing half as much as I would like to. Even this story has been simmering on the back-burner for weeks now. I thought that perhaps if I began posting it, I might get the necessary impetus to finish it. Look forward to your (vocal) support in this 6 part (completed) story. “Daddeeee!” Ponytail and skirt flying Chotti ran out of the school gates and into her father’s arms. “Must have sneaked off to the playground for a bit of football,” Chotti sniffed disparagingly. “Hey Da!” she waved frantically. “She’s busy. Come on now hurry.” He hustled them, feeling a bit put out at Deva’s lack of reaction. After all ASR had cancelled his meeting just to…oh well at least Angel was happy to see him. “I told you. They are busy. Wash up quick and come for lunch.” He waved his hand at the lunch laid out on the table. “I don’t want this goop,” Deva stirred the hornet’s nest. “Da is a bad boy.” Angel crowed, “Isnt he Daddy?” She sidled close to him. Arnav patted her head distractedly. Now what? He was getting late dammit. ASR hissed in frustration as he disconnected Aman’s phone for the nth time. “Sweetheart, why don’t you start eating? I’ll just go and get Devansh,” his voice hardened. Chotti nodded angelically and delicately tore off a tiny piece of the roti, dipped it in the rajma and popped it into her mouth. “Daddy can I come and watch while you get Da?” she asked with morbid pleasure. Angel’s eyes swam with tears. Arnav hastily softened his tone. “I’ll be right back sweetie. Finish your food.” He dropped a kiss on her head. Satisfied, Chotti stayed put her eyes glued to the stairs. She could imagine Daddy dragging a kicking and screaming Da by the ears. She shivered with dreadful anticipation and gory relish. “I’m not hungry.” Devansh said sullenly. “Of course you are.” Arnav was starving. This was not how he had imagined he would be spending Monday. A fun-filled afternoon, with adoring grateful children hanging on to his words with each of them vying to do his command was how he had visualized it. And bragged about it to Khushi as well. “To run errands while I stir the pot and whip up stuff on the that ever growing list,” Khushi wiped the sweat off her brow with the back of her wrist. “You my darling laad governor,” she flicked his nose with her floury hands before running them under the tap. “Yes you did.” Khushi insisted wiping her hands, “When Chotti was having repeated chest infections and the doctor said she was malnourished….” Khushi watched with satisfaction as a dull color suffused ASR cheeks. “Oh that?” He looked away. “Yes that.” Khushi crossed her arms and nodded.